In an essay in the Sunday New York Times entitled, “Does Everything Happen For a Reason?” Konika Banerjeee and Paul Bloom (a Yale graduate student and professor, both in Psychology) discuss studies showing that most people tend to find meaning and purpose in the events in their lives. One might think that this is tied to one’s religious beliefs, such that theists naturally believe in such meaning and purpose, whereas atheists don’t. But that’s not the case. Atheists as well as theists similarly seek and claim to find meaning and purpose in events. This implies that the tendencies is a deep-seated, natural inclination of human beings (hardwired, if you want to put it that way). On the one hand, this makes good sense, given how radically incomplete our lives are because of our mortality. One of the most unsettling experiences one can have is to walk around the house of someone who has just died. What do you find? Shopping lists, bills on the table, food in the refrigerator, a half-read book on the sofa. Our lives simply end in death. They just stop. There’s no arc, no climax, no denouement. This is part of the reason we tell stories: we want the narratives of our lives to have a beginning, middle and end; and making up stories allows us to give a sense to things, and an ersatz arc to our lives. Thus we are by nature story-telling animals. 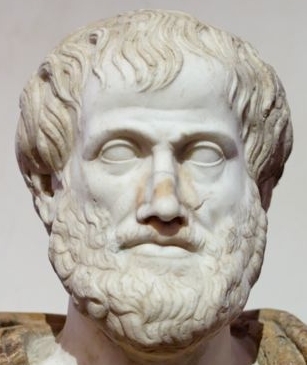 The idea that things have goals or purposes that they tend towards is known as “teleology,” and it was an important part of Aristotle’s thinking. In his ethics, Aristotle argues that, in addition to our everyday and long range goals, there is some final end that human beings aim at: happiness or flourishing. It’s what guides and makes sense of all our actions and decisions. What’s more, Aristotle also believed that there was teleology in nature, that natural organisms and the parts of those organisms have ends that they serve: the eye is for seeing, the heart is for pumping blood, etc. For a long time, throughout the Middle Ages, this way of thinking dominated in the Western world. And it’s the source of one of the traditional arguments for God’s existence: the teleological argument. The argument has its roots in Plato, and Thomas Aquinas offers a version of it. It’s often presented as an argument by analogy: Take an artifact, something someone has made, like a watch. We examine it and see the intelligent design. The watch didn’t happen to fall together accidentally. Someone created it in order to serve the purpose that it fulfills. You see the intelligent design, and so you must conclude that it had an intelligent designer. Similarly, examine elements in nature: Again, your eye, your heart, the roots of a plant. You see that they show intelligent design: they’re well-suited to doing what they do. Consequently, we must conclude that they had an intelligent designer, God. The argument doesn’t work. First, as evolutionary theory well shows, things can show design without having been designed: they can have evolved through natural selection over millions of years. [And the whole idea of teleology was abandoned with the early modern scientific revolution, btw; Aristotelian science gave way to the Newtonian.] Second, given all the inefficiencies and wastefulness of nature, it’s not even clear that the world actually shows design; or, to put it in a more snarky way, if the world was designed, the designer really botched the job. Third, as the great David Hume remarked, any universe would have to look as if it had been designed to some degree, whether it had been designed or not. If it’s parts didn’t fit together to some minimal degree, it couldn’t hold together as a universe. Last, let me note that, while the research shows that our tendency to find meaning in events doesn’t follow from our religious beliefs, the opposite might in fact be the case: our religious beliefs might follow from our need to make sense of the events in our lives. You knew I was going to reference Nietzsche here, didn’t you? Well, you were right. Nietzsche suggests that the origin of gods springs from our need for someone to bear witness to our suffering, in order precisely to give it meaning.